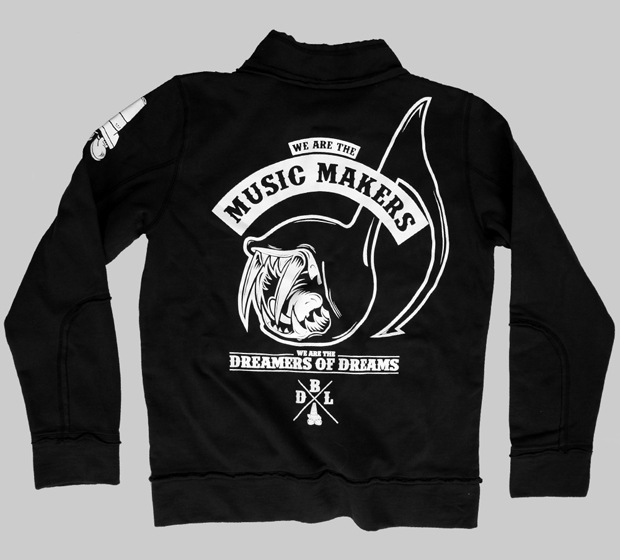 Droneboy have extended their line recently, moving from just screen printed tees to include the recent Miner Threat Hoody and now, the ‘Music Makers’ biker style Jacket. 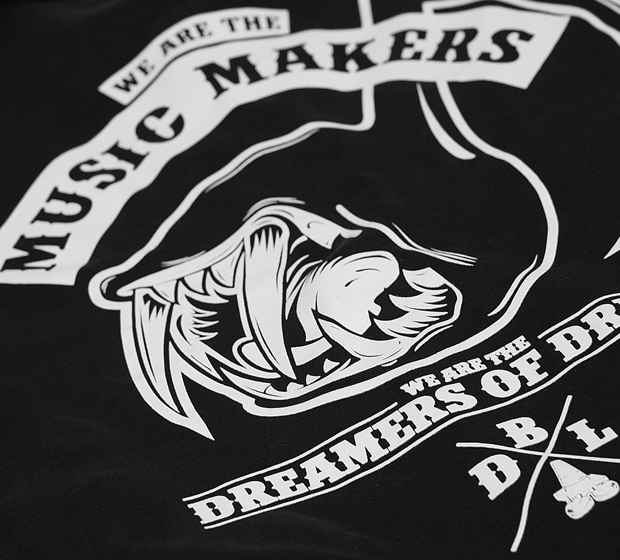 The new design titled ‘We Are The Music Makers’ comes from a quotation from the world famous Roald Dahl book, Charlie and the Chocolate Factory – “We are the music-makers, and the dreamers of dreams”. 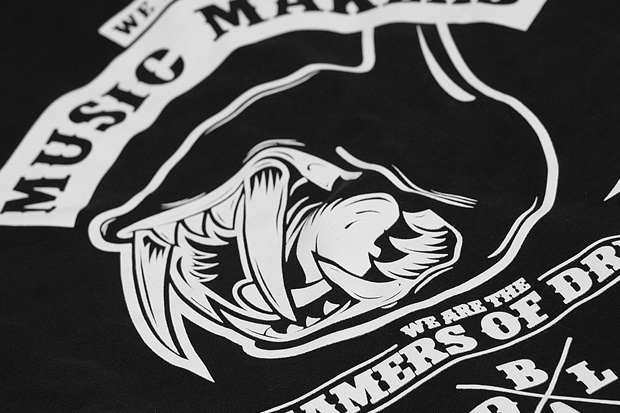 Droneboy’s Cardiff and bass music heritage finds a special resonance with such a quote, and the brand have printed it on the reverse of their new jacket, alongside their black note design. 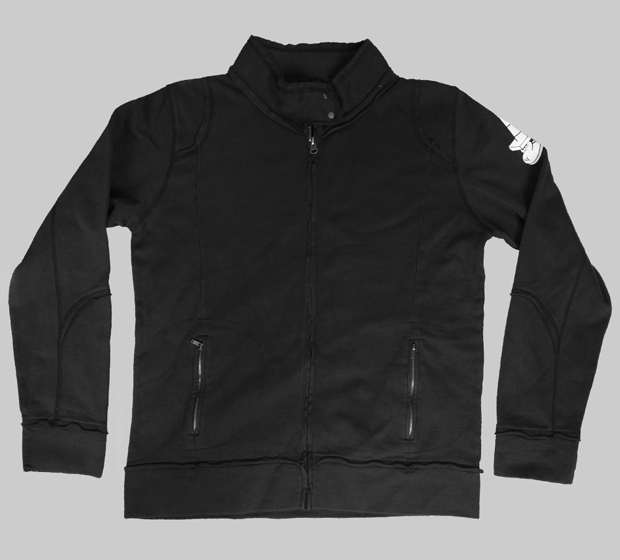 The jacket itself is a distressed, brushed cotton moto jacket – definitely a different style to chose, and not necessarily one I would go for myself, but the brand seem to have pulled it off well. 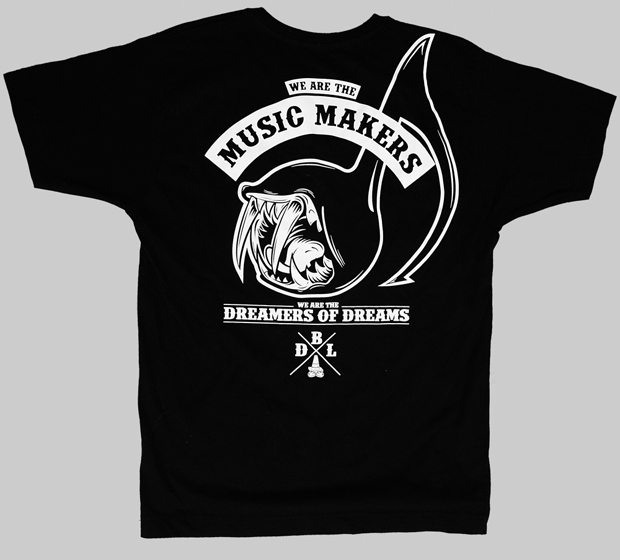 The design also comes printed on a black T-shirt. 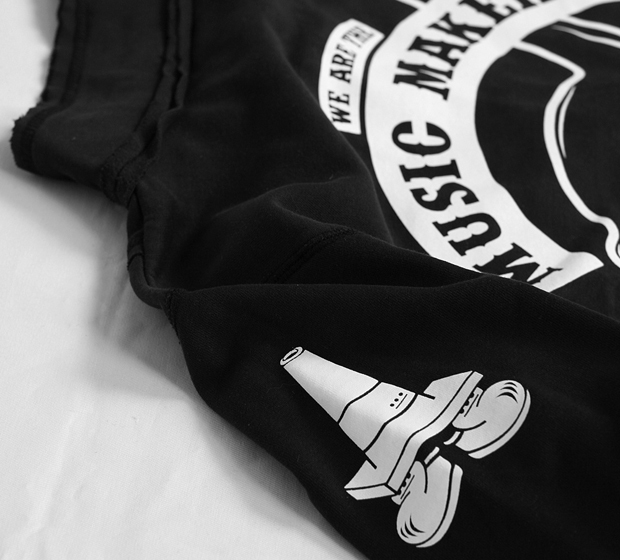 Both the ‘We Are The Music Makers’ jacket and T-shirt are available now from Droneboy.